The exhibition NEW ACQUISITIONS FROM TEXTILES, MERCHANDISING & FASHION DESIGN’S HISTORIC COSTUME COLLECTION runs from January 30th through March 3rd , 2017 at the University of Nebraska-Lincoln’s Robert Hillestad Textiles Gallery. The public is invited to a panel discussion titled “Teaching From The Collections” that will take place on Thursday February 16th at 5:30pm in Room 31 of the Home Economics Building on east campus. A reception in the gallery will follow from 6:30pm. 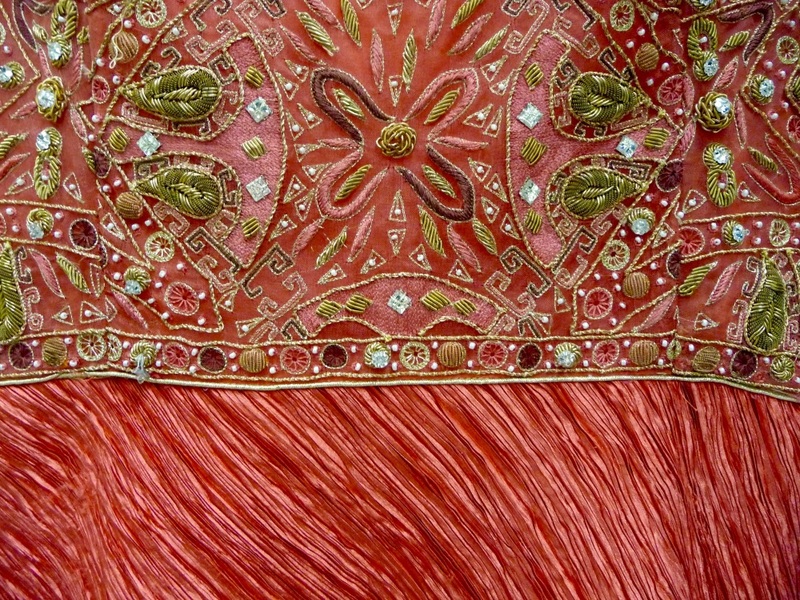 The Department of Textiles, Merchandising & Fashion Design’s Historic Costume & Textiles Collection numbers over 5000 objects, including examples of western and non-western, historic and contemporary, apparel and textile products. 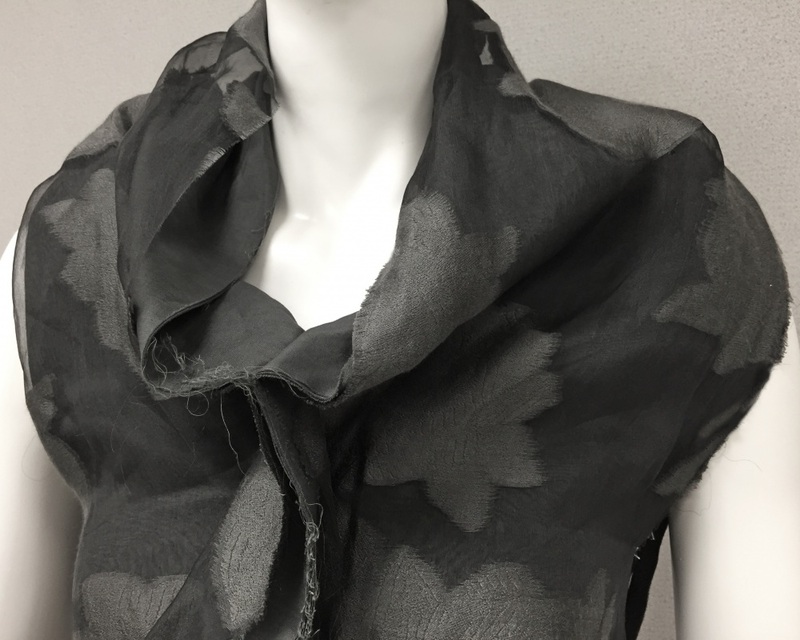 These artifacts are used in various contexts within the department and university to inform and support faculty and students’ teaching, learning and research in the areas of fashion and costume design, fashion and textile history, and material culture. The collection also provides objects for exhibition in the Hillestad Textiles Gallery. 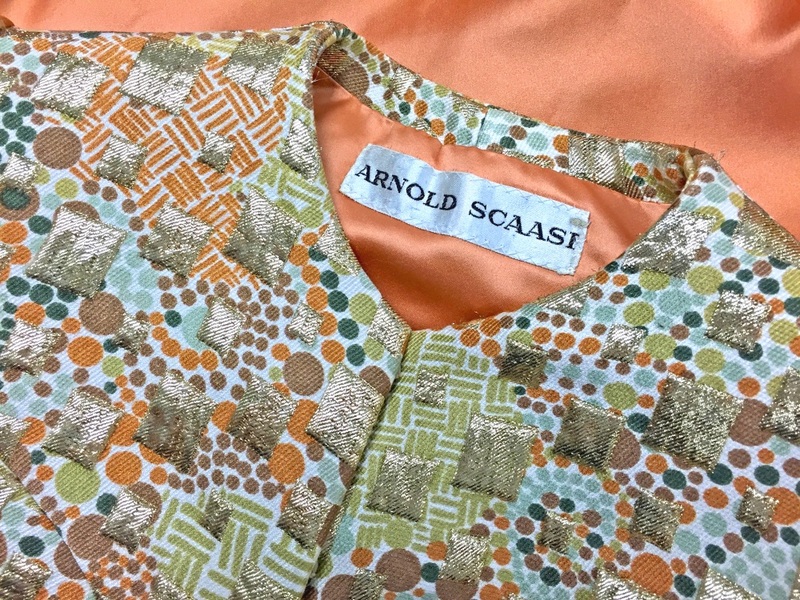 Combined with the collections of the International Quilt Study Center & Museum, the department’s apparel and textile study resources number in excess of 10,000 objects. This new exhibition features a selection of recent acquisitions and donations to the collection. Apparel and textile items are added to the existing collection based on several criteria. A key goal of the collections program is to accession objects that fit into and expand the cultural, historical, and aesthetic range of the collection. This helps to create an increasingly relevant and impactful resource for teaching and scholarship. Among the works included in the exhibition are a soutache embellished cotton dress dating from 1909, donated by Harold & Lois Prather; a 1970s Marii pleated gown from American designer Mary McFadden; women’s suits by Thierry Mugler and by Arnold Scaasi from the late 1980s; an Issey Miyake Pleats Please blouse from the 1990s; and a deconstructed silk dress ca. 2000 from the avant-garde fashion house Comme des Garcons, the creative enterprise of Japanese designer Rei Kawakubo, whose work will be spotlighted in Spring of this year in a major retrospective at the Metropolitan Museum of Art’s Costume Institute in New York City. The public panel discussion on February 16th will feature TMFD faculty members Drs. Mary Alice Casto, Sandra Starkey and Claire Nicholas, and Asst. Professor of Practice Michael Burton, along with Ph.D. graduate student Molly McPherson. The panelists will address the many ways that the collections are used in the context of the department’s curriculum. Facilitated by graduate student Kylin Jensen, the panel discussion is an outgrowth of Ms. Jensen’s dissertation work examinging the use of the collection in teaching. The Robert Hillestad Textiles Gallery is part of the Department of Textiles, Merchandising & Fashion Design in the College of Education and Human Sciences. The gallery is located on the second floor of the Home Economics Building on East Campus, at 1650 N. 35th Street, north of East Campus Loop (map at http://go.unl.edu/j5v). Hours are 8:30 a.m. to 4:00 p.m. Monday-Friday and by appointment. Admission is free. Visitor parking is available near the building (secure a guest pass at the nearest administrative office) and metered stalls are located in the parking lot north of the East Campus Union . For more information, call (402) 472-2911 or visit http://textilegallery.unl.edu.